Pro Pool and Spa is a complete residential pool company. 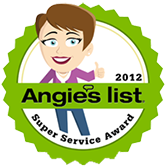 We specialize in pool renovations for tile, concrete, and Marcite/Diamond Brite resurfacing. Don’t do it yourself. Pro Pools and Spas can maintain your pool or spa year round so you never have to give it another thought! 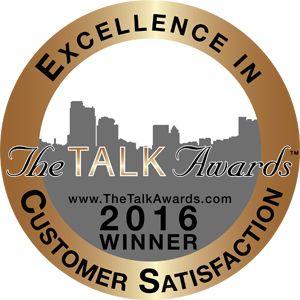 A Cleveland based company, family owned and operated! Staying true to their core values of honesty, integrity and innovation-Pro Pool and Spa has a solid grasp of the nature of its business. Howard Grossman, who founded the company in 1994 near Cleveland Ohio, is proud and pleased to have son Brian working alongside him. “My son is a genius, but then I’m a little biased”, jokes Howard. Some of Brian’s strengths include seamlessly blending concrete construction with design and functionality. He also has a lot of experience in concrete construction and creating designs with intricate Italian tiles. “Brian does ongoing research within our industry”, says Howard, “He inspires the rest of us to keep raising the bar on our expertise”. Pro Pool and Spa will work with you to develop your dream in-ground swimming pool or spa. Our installers are experts at building sculptured concrete-gunite swimming pools and spas in the Greater Cleveland Area and throughout Northeast Ohio. 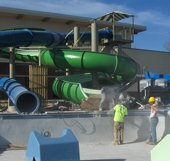 We provide custom designs and state-of-the-art construction methods to provide high quality and affordable pools and spas for you and your family to enjoy. 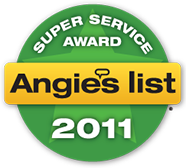 Pro Pool and Spa is renowned throughout the Cleveland Area for first rate customer service and satisfaction. 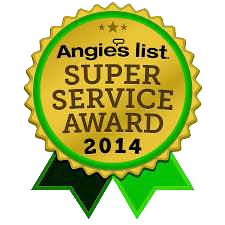 We will make your pool building experience easy and worry-free. Our pool builders, installers and designers are trained to design and install swimming pools to your specifications. Our goal is to make every pool that we build a match to your needs and lifestyle. Pro Pool and Spa will guarantee the highest quality and the best possible value. Let us handle all the details, you will be relaxing in you new dream pool or spa in no time! Let Pro Pool and Spa replace or repair your in-ground pool liner! We feature pool liners from Merlin, GLI, Swimline, Tara and others to meet your needs. 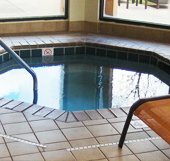 Pro Pool and Spa offers many different styles and patterns to choose from, and we offer a full warranty on materials and workmanship. Keep your family and guests safe this summer with a pool maintenance, testing and cleaning program from Pro Pool & Spa. CDC representitives have recently warned that outbreaks of parasites, such as Cryptosporidium, have doubled in the last few years. The parasites can be difficult to kill, causing 32 outbreaks in swimming pools and water parks last year. This is up from 16 outbreaks just 3 years ago. Cryptosporidium is the most common cause of dangerous outbreaks accociated with swimming facilities and it has the ability to persist for 10 days even in chlorinated water. 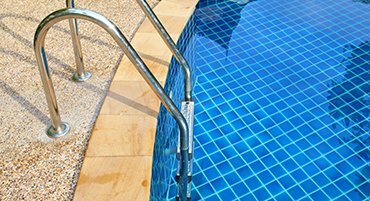 Pro Pool & Spa handles the maintenance for many public pools in the Cleveland area and we have the expertise to keep your pool clean, clear and safe this summer. See these important pool and spa safety tips to keep your friends and family safe this summer. Learn best practices for keeping a close eye on any children in or near the water,. Find out about many opportunities for free or low cost swimming lessons in the Cleveland Area. Make sure that your pool or spa has the required equipment and features to keep both children and adults safe. Learn CPR so you can help save a life and remember to keep the certification current. Many classes can be found at Cleveland hospitals, rec centers, or through the American Red Cross. All of our pool and spa chemicals are environmentally friendly, as is our process! We want to make sure we keep it clean. 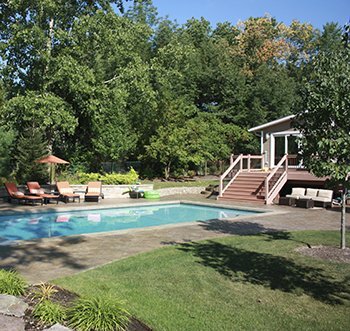 Unlike most swimming pool companies, we act as a general contractor handling all the excavation and land clearing in Northeast Ohio. Pool or spa cover falling apart or cracking from harsh Cleveland weather? Pro Pool and Spa offers a variety of replacement covers. Whether you’re looking for LED lights, fiber optics or other special effects, Pro Pool and Spa Cleveland has all of the latest technologies! Spa season is actually year-round, even in Northeast Ohio. 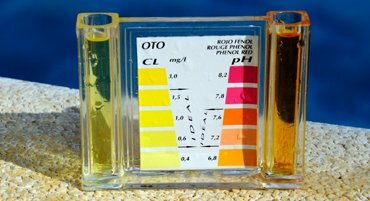 Contact Pro Pool & Spa to get spa chemistry and test kits for your spa or hot tub and stay warm on those cold Cleveland nights! Contact Pro Pool & Spa Today! and help you choose the pool or spa that is best for you and your budget. Don’t wait!